Pro Sound old - Althar Audio and Cinema Systems Manufacturer of the original ULD, Uniform Loudness Distribution loudspeakers and the new transformerless, distributed 70 and 100 volt ULD TD Direct Drive designs. Many companies are after your business. We're after your satisfaction! Control unwanted reflections and feedback in your room with ULD Loudspeakers! The ULD Beam-Forming loudspeakers are really in a class by themselves! The advanced Timed-Phase Array afforded by our Frequency Amplitude Beaming FAB © engine combined with our improved Radiating Grill© assures ultra wide dispersion of all frequencies throughout the room while decreasing most common sound reproduction issues. Enjoy the benefits of Uniform Loudness Distribution in every application while experiencing great clarity and a extremely high resistance to feedback. Our weather resistant loudspeakers are designed in America and are hand assembled by highly skilled technicians in our Cleveland, Ohio fabrication facility. They are comprised of premium components, housed in an attractive, heavy duty, extruded PVC enclosure encapsulated in a durable, UV stabilized polymer coating. Each serialized unit is quality inspected and authorized by one of our staff and includes a signed certificate of performance compliance. ULD loudspeakers featuring our exclusive FAB© Beam-Forming engine outperform typical line arrays while substantially decreasing the disruptive sonic reflections associated with conventional loudspeakers. TheirTimed-Phased design in conjunction with our unique Radiating Grills assure wide dispersion of all frequencies and our new Transformerless/Distributed 70 and 100 volt ULD TD models provide the same great performance in a distributed system. Powerful, Neodymium-Iron-Boron, long excursion motors cover medium to large venues with modest amplification requirements. A system comprised of ULD beamforming columns is capable of providing exceptional intelligibility associated with the musicality you've come to expect. Our Time Phased design provides sonic balance from 100 Hz through the higher audio spectrum throughout the room without the excessive sibilance associated with many compression horn based systems. 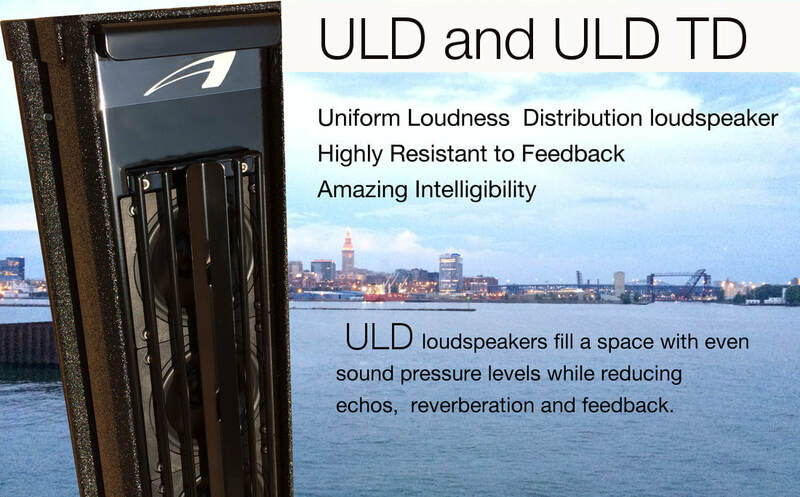 A pair of ULD's can provide sound support for large rooms and gatherings. 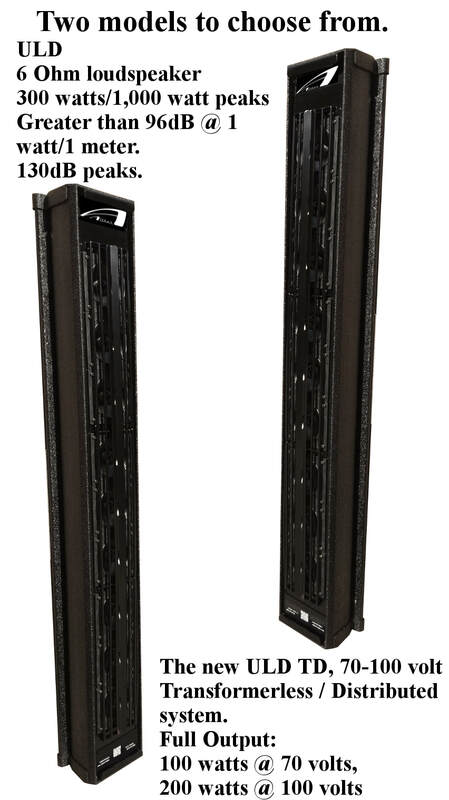 Due to its design they can actually outperform multiple conventional speakers at a lower cost. Simplify your installation and set-up by utilizing the wide-field, uniform volume levels provided by our Uniform Loudness Distribution design. 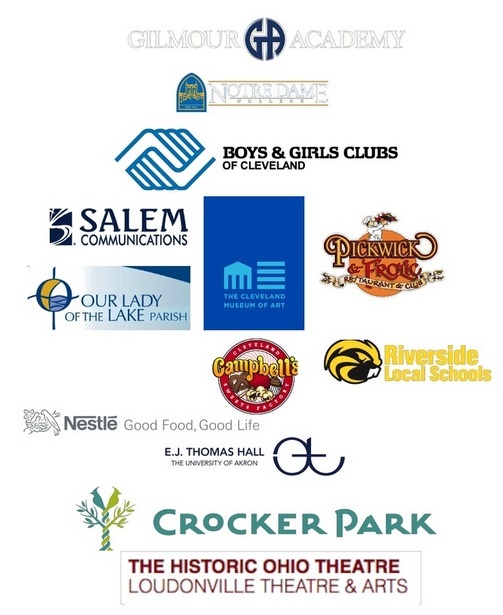 Some of our Many Clients.